Image: Jonny Hunter/Flickr//Original photo was cropped but not altered for this article. Bad news for ice cream lovers. After months of Blue Bell gradually pulling contaminated products, the company announced yesterday that it is yanking all of its products off of store shelves. This one is a doozy. For weeks, Texas-based ice cream maker Blue Bell Creameries has been expanding a safety recall of various products due to listeria monocytogenes, a bacteria that can cause serious illness in groups with weakened immune systems. Now the company is announcing a complete, voluntary recall that includes all ice cream, frozen yogurt, sherbet and frozen snacks made by any of the company’s plants. The recall began in March with the company’s 3-ounce cups of vanilla and chocolate ice cream when routine testing indicated listeria was present in the company’s Broken Arrow facility. That facility has since been shut down. 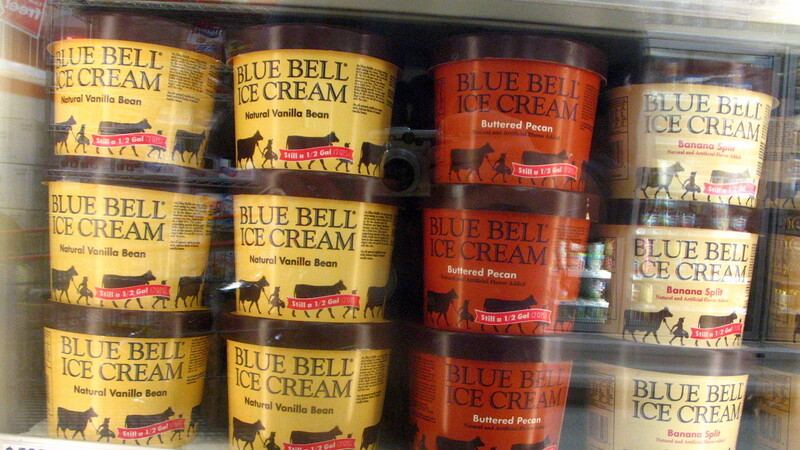 Later, as more and more testing was completed, Blue Bell first expanded its recall to include certain half-gallons and some pints of ice cream. The decision to voluntarily recall all products came when even more testing revealed that other plants and products were also affected. The listeria outbreaks that the press release is referring to include two states: Kansas and Texas. In Kansas, there have been five cases of listeriosis in the past year, possibly due to the contaminated product, and three people have died as a result of those symptoms. In Texas, there have been three cases of listeriosis between 2011 and 2014, where the “Listeria monocytogenes strains were nearly identical to Listeria strains isolated from ice cream produced at the Blue Bell Creameries’ Oklahoma facility,” according to the recall information on the CDC website. Listeriosis typically results in a high fever and gastrointestinal distress, but for the very young, the elderly and the immunocompromised, the illness can be fatal. The bacteria has also been shown to increase the risk of miscarriage in pregnant women. Blue Bell CEO Paul Kruse addressed the recall in a video on the Blue Bell website, in which he issued an apology to consumers and announced that the company will be doing a “test and hold” on all products manufactured by Blue Bell. This means all products will be tested for the bacteria before hitting shelves to ensure they are safe to eat. He also outlined a number of steps the company is taking to remedy the situation and prevent its recurrence, including special employee training and an 800 percent increase in swabbing and testing surfaces in the manufacturing plants. You can find more information on the Blue Bell Creameries recall by calling 1-866-608-3940.